A trust is a relationship whereby property is held by one party for the benefit of another. 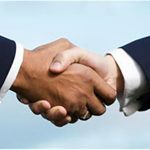 A trust is created by a settlor, who transfers some or all of his or her property to a trustee. The trustee holds that property for the trust’s beneficiaries. Trusts can be arranged in many ways and can specify exactly how and when the assets pass to the beneficiaries. Since trusts usually avoid probate, your beneficiaries may gain access to these assets more quickly than they might to assets that are transferred using a will. A Living trust is set up during the person’s lifetime. A Testamentary trust is set up in a will and established only after the person’s death when the will goes into effect. 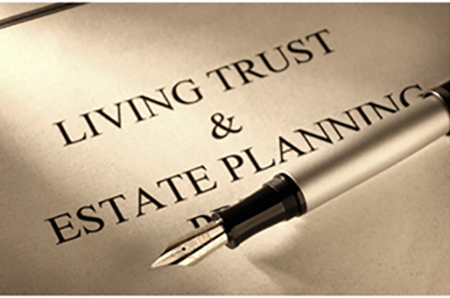 A big distinction between the types of living trusts, are whether they are revocable or irrevocable. A living trust, is revocable, and can help assets pass outside of probate. Revocable trusts allow you to retain control of all the assets in the trust, and you are free to revoke or change the terms of the trust at any time. A revocable trust typically becomes irrevocable upon the death of the grantor. You can retain ownership and control over the trust, its terms and assets during your lifetime, by making yourself a trustee, but make provisions for a successor trustee to manage them in the event of your incapacity or death. Although a revocable trust may help avoid probate, it is usually still subject to estate taxes. So, during your lifetime, it is treated like any other asset you own. An irrevocable trust transfers your assets out of the grantor’s estate and potentially out of the reach of estate taxes and probate, but cannot be altered by the grantor after it has been executed. Once you establish the trust, you no longer legally have control over the the assets and you are not able to make changes without the beneficiary’s consent. If your primary aim is to reduce the amount subject to estate taxes by effectively removing the trust assets from your estate, an irrevocable trust is generally preferred over a revocable trust. Since the assets have been transferred to the trust, you are relieved of the tax liability on the income generated by the trust assets. It may also be protected in the event of a legal judgment against you. A properly constructed trust can help protect your estate from your heirs’ creditors or from beneficiaries who may not be adept at money management. You can specify the terms of a trust precisely, controlling when and to whom distributions may be made. You may set up a revocable trust so that the trust assets remain accessible to you during your lifetime while designating to whom the remaining assets will pass thereafter, even when there are complex situations such as children from more than one marriage. An attorney can help you draft a trust and help you determine which type best fits your family’s needs. What is Premise Liability? Do You Need a Lawyer When Buying or Selling a Business?